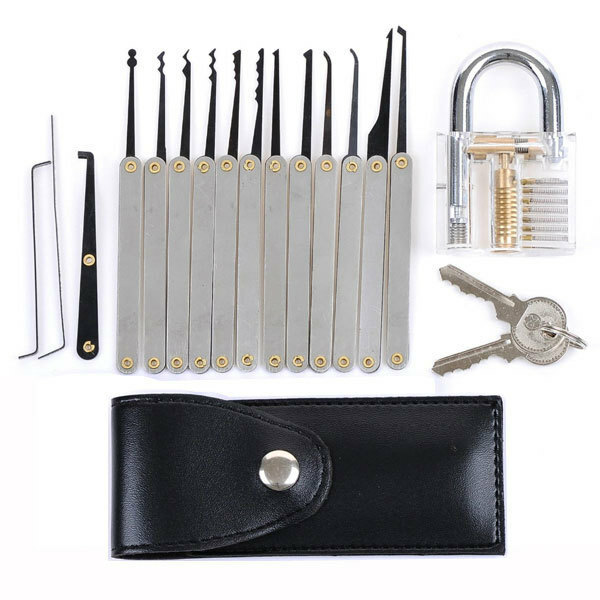 The Transparent Practice Padlocks with 12pcs Unlocking Lock Pick Set Key Extractor Tool Lock Pick Tools will help you quickly learn how to pick common residential cross locks. 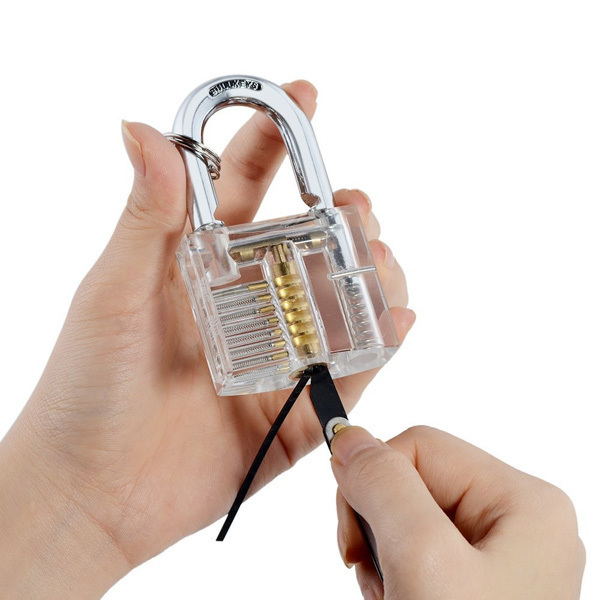 The practice cross lock is made of transparent material so you can see how the internal components work inside the lock while you are working on it. 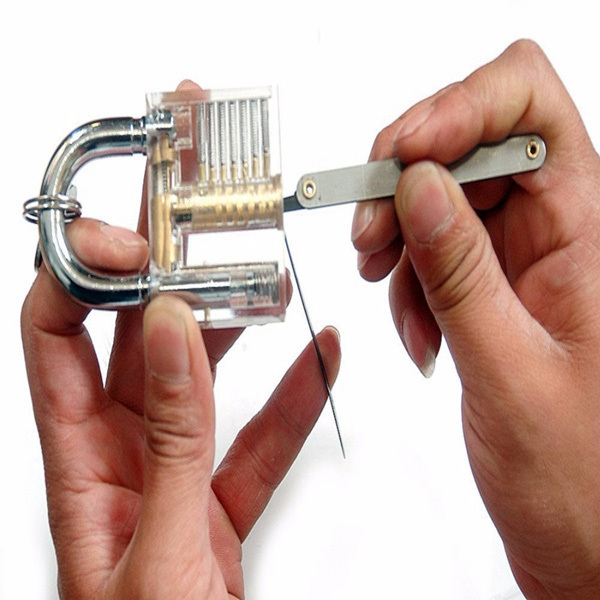 Such a great tool is sure to make it easier to learn lock picking and improve your lock-picking skills significantly. 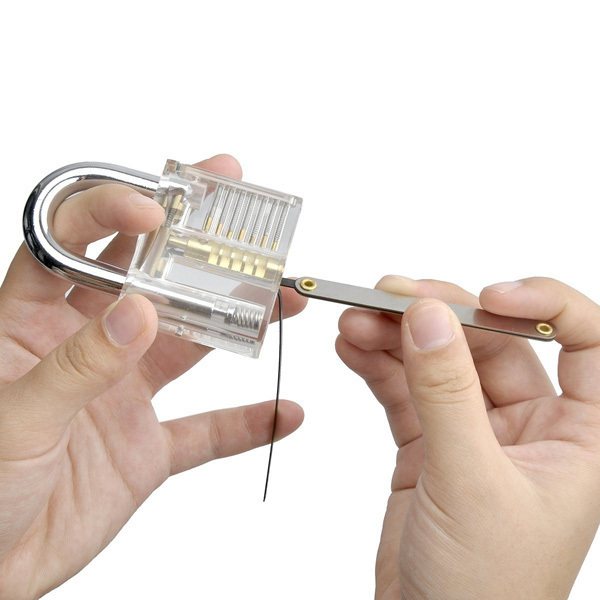 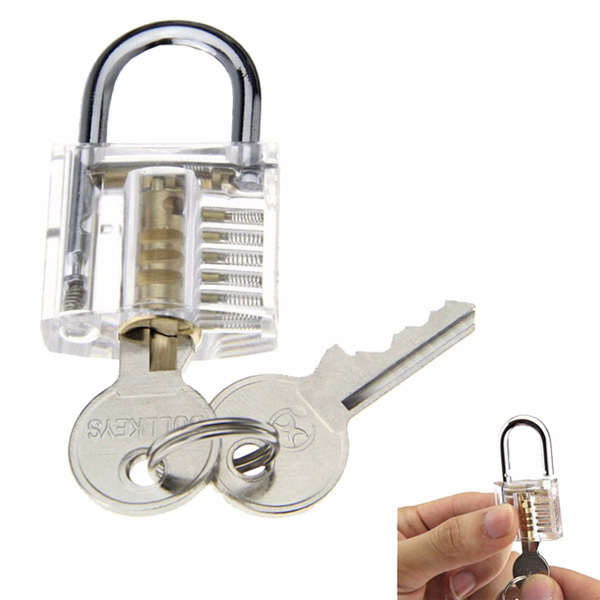 Plus, a set of 12pcs lock models are great for training and testing your learned skills. 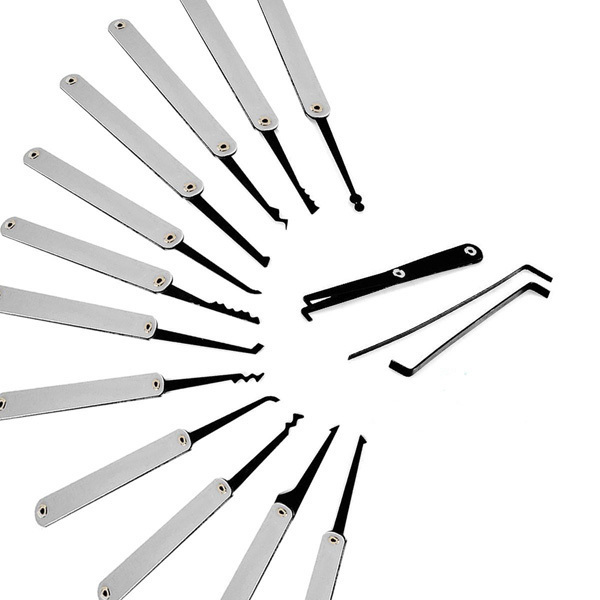 Don′t miss out!